Sometimes it’s the little things that make all the difference. This is particularly true during dog training. It’s easy to start making errors and assumptions when we train with our dogs, to get frustrated or confuse our companions. Here are the most common mistakes I often find owners are making whilst training. So how many of the following are you guilty of? It’s a bit of a bugbear of mine and it drives me slightly mad when owners ask their dog to do something then immediately repeat the cue before the dog has even had a chance to respond. It can take your dog several seconds to process what you have said and perform the required action. So when asking your dog to sit you need only say the word ‘sit’ once. If you are saying ‘sit, sit, sit’ you are either not giving your dog enough time to respond, you didn’t have your dogs attention to start with or you have now unwittingly taught your dog that the cue for sit is now ‘sit, sit, sit’ rather than ‘sit’. Saying to your dog ‘Now Bruno sit if you want your dinner’ sounds to Bruno like ‘blah blah sit blah blah blah’. If you are lucky your dog may pick out the ‘sit’ part of your sentence. Most likely your dog will just be confused. Sorry but it’s true it’s not the dog's fault if a training session isn’t working! Your dog is not being deliberately stubborn or failing to perform in order to annoy you (see point 5). The most common cause of a training session not working? Asking too much too soon. Imagine you were trying to learn how to do something whilst being taught in a different language, it’s incredibly hard! Spend more time at the beginning stages of your training plan before you increase the difficulty. Small steps are the key to success. All too often owners are so keen to achieve the end behaviour that they forget to work at the dog's pace rather than their own. This either leads to failed attempts during training (see point 7) or an end behaviour that is of a lower quality e.g. shuffling towards the owner when the dog is asked to perform a ‘stay’. This is something that often doesn’t occur to many owners but I come across all the time. The perfect example is the cue ‘down’. The word ‘down’ is often applied to multiple actions including asking the dog to stop jumping up and get off the sofa or furniture as well as actually lying down. If you have taught your dog to lie down on using the cue ‘down’ when you ask them to not jump up or get off the sofa using the word ‘down’ you have actually just asked your dog to lie down, confusing much? One of the biggest issues in dog training and a really easy trap to fall into is treating animals as though they have the same through processes and motivations as ourselves. Dogs don’t have language and therefore do not form moral or ethical opinions. They have no opinion on what is ‘good’ or ‘bad’ behaviour or what we consider ‘right’ or ‘wrong’. They also have no concept of human manners and social norms, such as the fact that you don’t want them jumping on all your visitors or chasing the neighbors cat! No animal species as yet has been found to act maliciously or detrimentally towards another animal for no benefit of their own. They simply do what works best for them based on the current situation and their past experiences. Therefore our dogs do not refuse to do things just to annoy us or because they are being stubborn. Treating dogs as though they think like we do tend to leads to a lot of frustration from owners towards their dogs. If a dog isn’t performing as desired it can be for a huge range of reasons. Most often the dog doesn’t understand what is being asked, the dog is distracted or the dog isn’t motivated enough to take part in the training. You don’t need to control your dog’s every move! Your dog moved towards the table as you were putting food out? It doesn’t necessarily mean they were about to jump up and grab it. Your dog approaches a visitor in your home? It doesn’t mean they are about to jump all over them. Now it depends on your dog of course but there are many circumstances when dogs are just moving around to have a sniff and to see what is going on. I’ve seen owners trying to control almost every single movement their dog makes to try and avoid any unwanted behaviours. You can imagine how much fun this is for the dog! 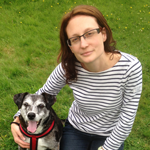 Teach your dog to make good choices and you won’t need to constantly manage their behaviour. Every training session should be set up for your dog to be successful. Every time your dog doesn’t do what’s required in a training session they are practicing a behaviour you don’t want. This only makes your training plan harder to achieve. Start easy then build in the difficulty slowly. Make sure the reward you are offering for the work you are asking for is of high enough value to the dog to motivate them during the session. A bit of your dog's dry kibble probably isn’t going to cut it when you are training something new. Swapping to a higher value reward is often all it takes to get your dog engaged with training again. Only once you have achieved a behaviour on a verbal cue in one location should you consider gradually increasing one of the three D’s – Distraction, Duration & Distance. Try and increase more than one of these at once and you are likely to come unstuck. This is a key reason why many dog owners struggle to teach an effective recall. Often the temptation after a few successful recalls on your own in the park is to then try a recall when dogs are playing together. Having only previously practiced the recall at low levels of distraction it’s no wonder that most dogs are then unsuccessful when asked to perform at such a high level of distraction in the form of exciting playmates. It’s easy to work your dog that little bit too hard when you are keen to achieve a particular training goal. This can lead to a loss of focus from your dog due to frustration. This is particularly unhelpful when trying to train your dog to have better self-control. Signs your dog is becoming frustrated include jumping up at you, vocalising (whining or barking) and walking away. If your dog is starting to get frustrated reward a few easy behaviours such as a ‘sit’ before attempting the original exercise again. Additionally, make the exercise a little easier by dropping your criteria or going back a few stages before attempting to increase the difficulty again later. It’s really tempting to keep going and going when training is going well. However, training sessions are best kept short and frequent. Longer training sessions tend to lead to frustration and a loss of focus from the dog. It’s always best to finish when things are going well before going back to the training after a short break. Additionally, it’s important not to forget that your dog may need a break in order to have a drink or go to the toilet (particularly the case for young puppies) and this can be another reason your dog becomes distracted during training. A quick fix in dog training is rarely a good thing. Usually, quick fixes suppress behaviour through the threat of punishment. The behaviour quickly disappears and the owner thinks the problem is solved. However, because the original cause of the undesirable behaviour was never addressed the risk that the behaviour will reoccur still remains. 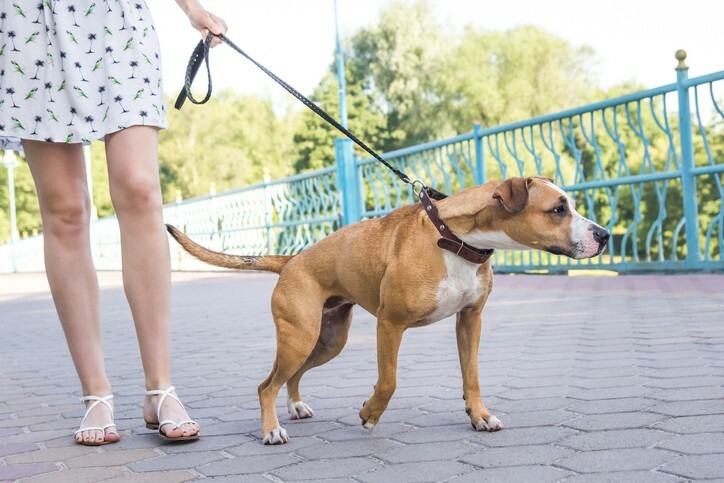 This type of training can also cause significant anxiety in dogs leading to further behaviour issues and is also harmful to the dog-owner bond. A good example of a potentially dangerous quick fix is when a dog that is told off for growling when their food bowl is approached at meal times. The growling behaviour stops as the dog tries to avoid being told off again. However, the reason the dog growls is never resolved, in this example the fear that the food will be taken away. Therefore the next time the owner approaches the dog at its food bowl they could be bitten with little or no warning as the dog is still worried they may lose their dinner. All that has been achieved by the owner is the removal of the growl that comes before a bite. By taking away the growl you have just taken away your last warning. It’s like taking the batteries out of your smoke alarm to stop that annoying beeping when the batteries get low. Great that the annoying beeping has now stopped but a lot less great if your house catches on fire.